There is no dearth of games in the Google Play store, however there are very few games of good quality. 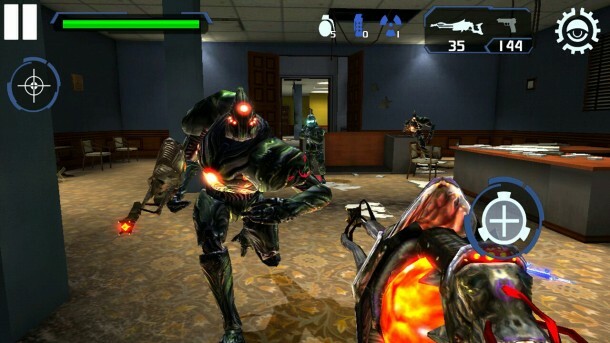 In particular, there are very few First Person Shooter (FPS) and Role Playing Games (RPG) in the Android app store. One chronic problem associated with games of these genres is that they tend to be poorly optimized for mobile phone and tablets’ small screens. 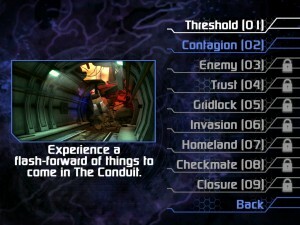 Fortunately, The Conduit HD is a welcome aberration. 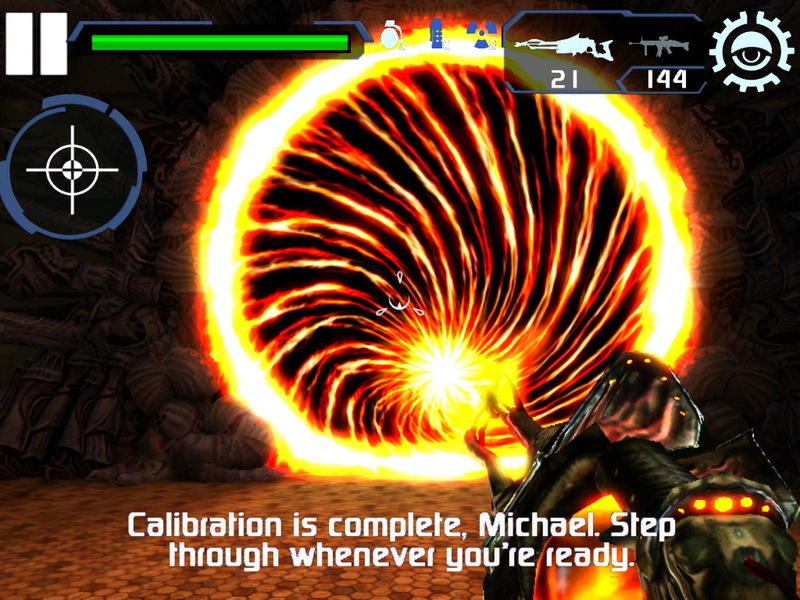 The Conduit HD is the Android version of High Voltage Software’s highly acclaimed ‘The Conduit’ game released back in 2008 for Wii console. 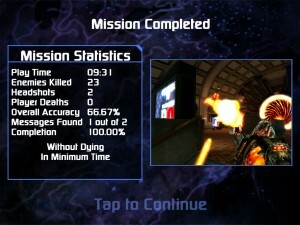 To begin with, the game is 846MB in size, which is quite decent for a first person shooter game. 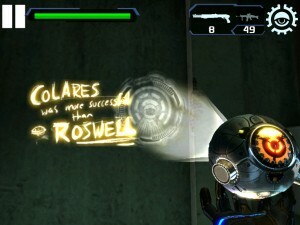 Moreover, the game is available for free to download. You can play the first two stages for free, but after that you have to pay for the rest. The rest of the game is available for $4.99, or you can buy each of the two halves of the game for $2.99 a-piece. 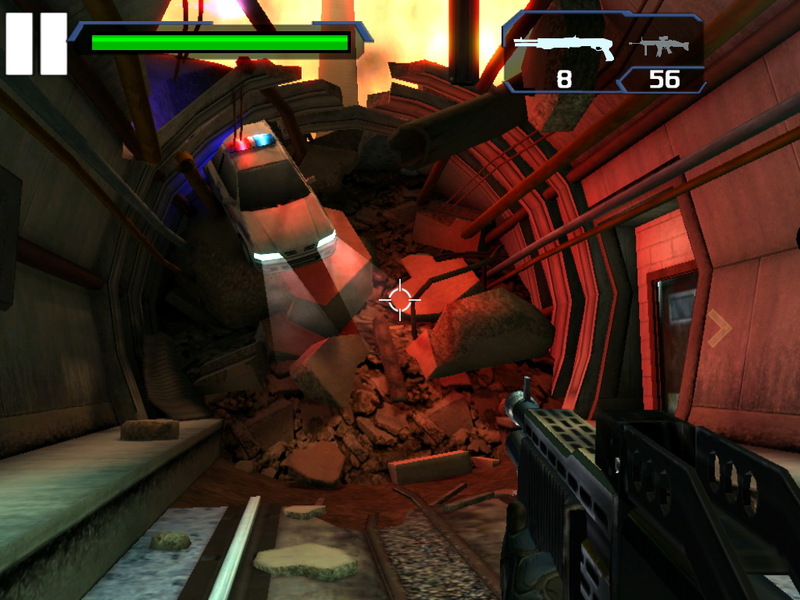 As stated earlier, The Conduit HD is a ported version of the Wii game – The Conduit – which was released in 2008. The storyline of this Android version progresses the same as in the original. You play the role of Secret Service Agent Michael Ford who is recruited by a mysterious organization called ‘Trust’ in the fight against a terrorist group called ‘Prometheus’ as well as the mysterious alien race, ‘Drudge’. 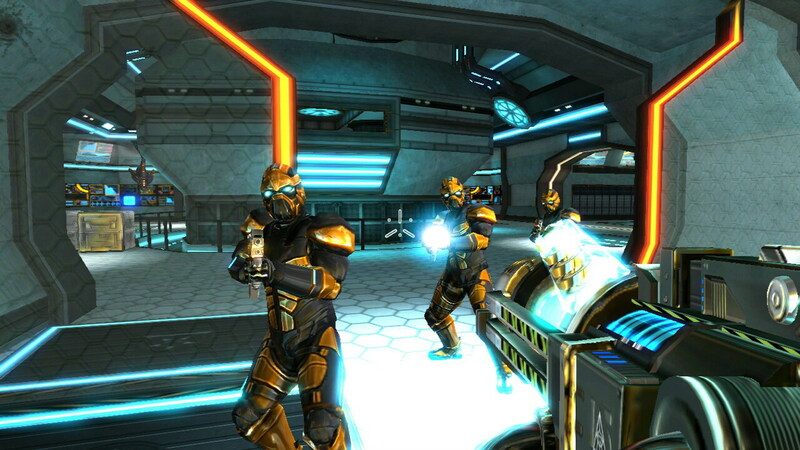 If you have not yet played the Wii version of The Conduit, then you are going to love the Android version. 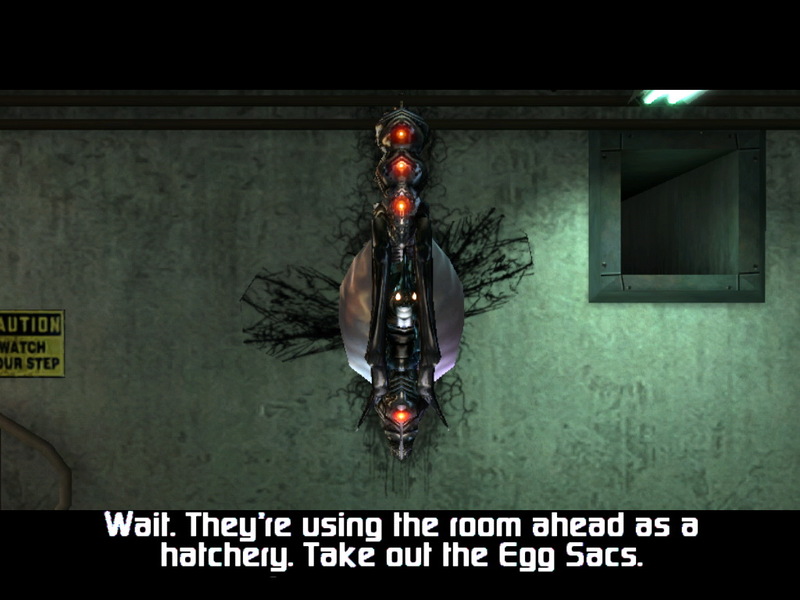 The Conduit HD has an immersive story line with lots of twists, turns, and puzzles – all of which are crucial for this type of game. 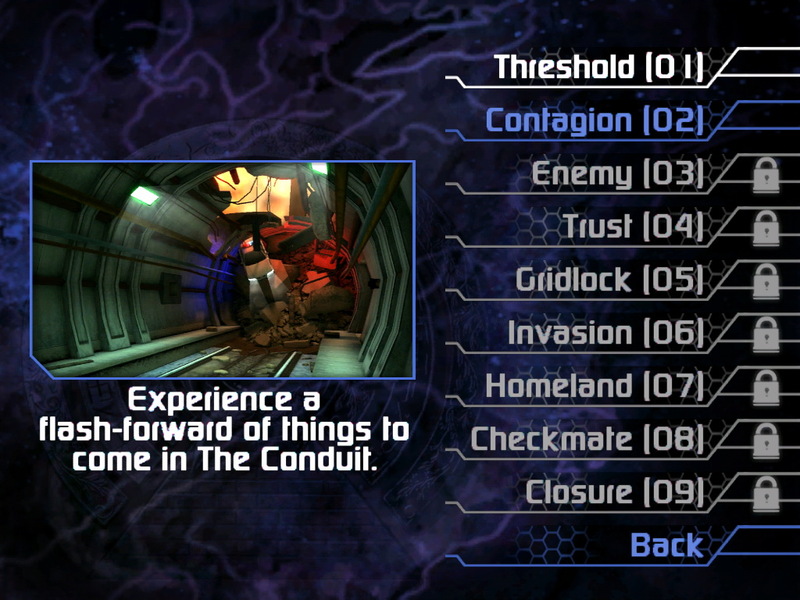 The Conduit HD is like an amalgamation of The Da Vinci Code and The X Files. This game features nine stages where you’ll face-off against fourteen different human, as well as alien enemies while sporting 18 unique types of weapons. What is most laudable in The Conduit HD is its control scheme as well as its graphics. This game is meant for Nvidia Tegra based devices and supports high-definition resolution. As per High Voltage, the developers of the game, The Conduit HD’s experience is ‘console’ in quality, with an advanced physics engine that reflects in the way the in-game characters act. For instance, if you hit someone on the head he will fall exactly the way he would in real-life. What’s even more pleasing are the available control options. 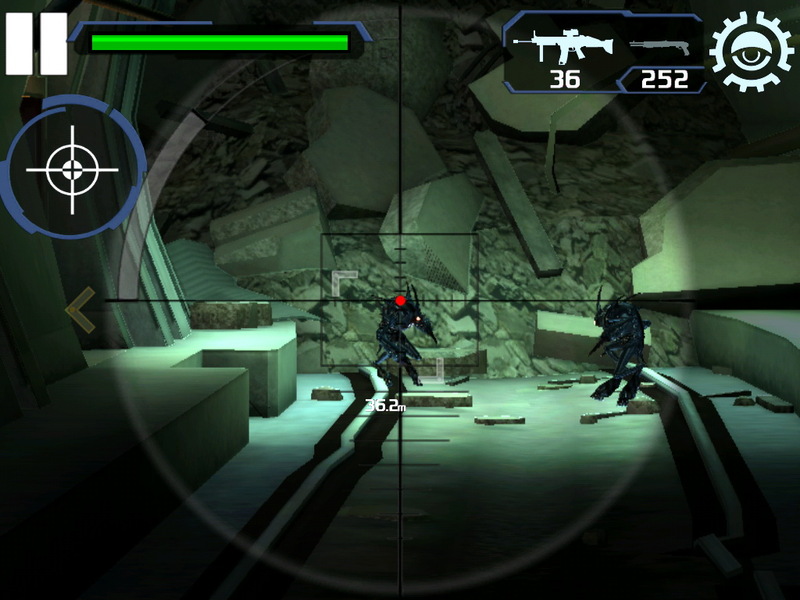 In the Android game, there are very few on-screen buttons that you have to operate, thus making the game a relatively easy to play on smaller mobile screens. 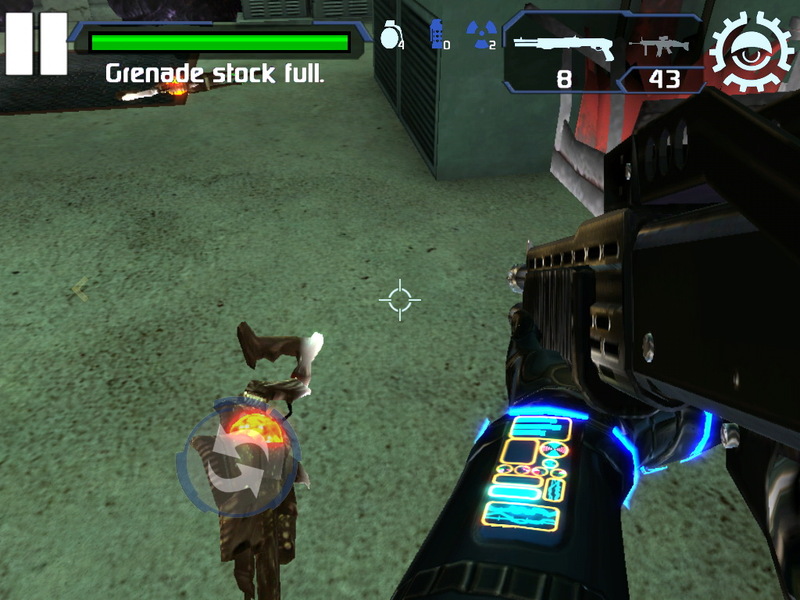 There is but one on-screen button to control the movement of the character while double-tapping allows you to throw grenades. 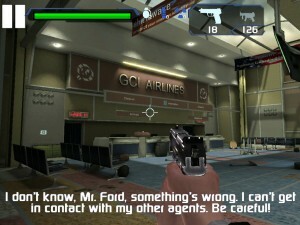 You can carry two guns at a time which you can switch by tapping on their icons (displayed at the top of the screen). 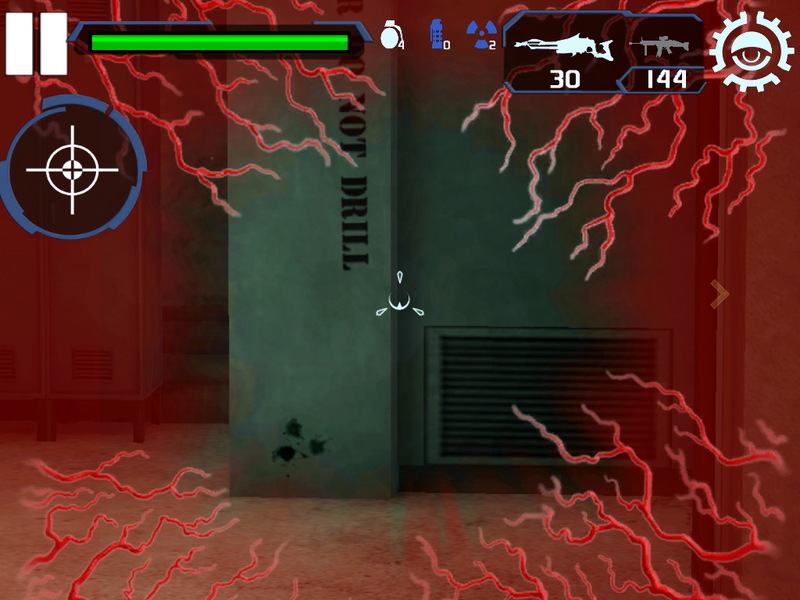 To pick up a different weapon from the ground, you just have to go near it and an icon will appear prompting you to select it. Thankfully, there are no on-screen buttons to fire/shoot. In fact, The Conduit HD comes with the much needed melee attack, which I’ve missed greatly in Android games. 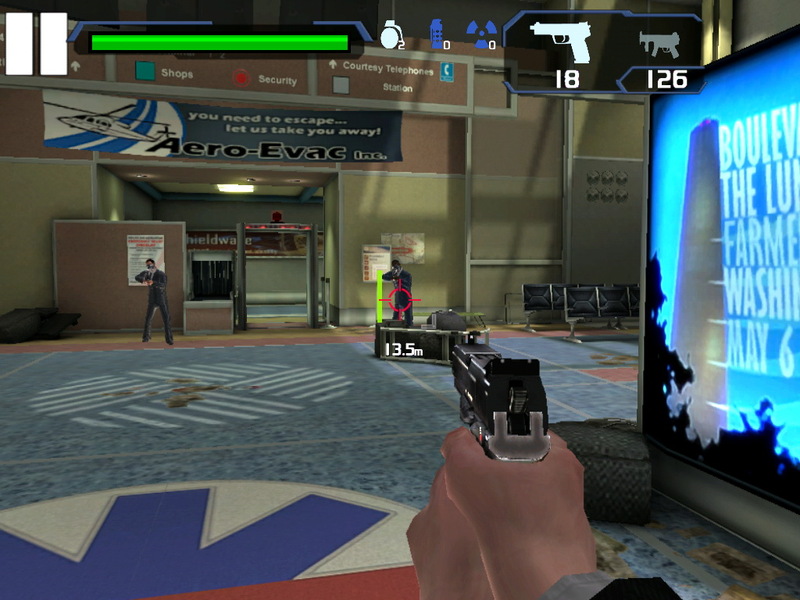 To attack, all you have to do is point your gun at the enemy; if the enemy gets close enough, melee will trigger. This automatic attack option keeps the game easy and clutter free. 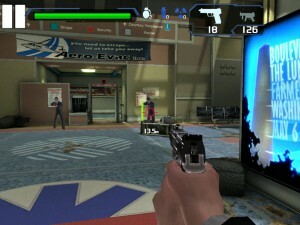 In addition, you can change various parameters of the game such as video, audio quality, and even the user interface layout. 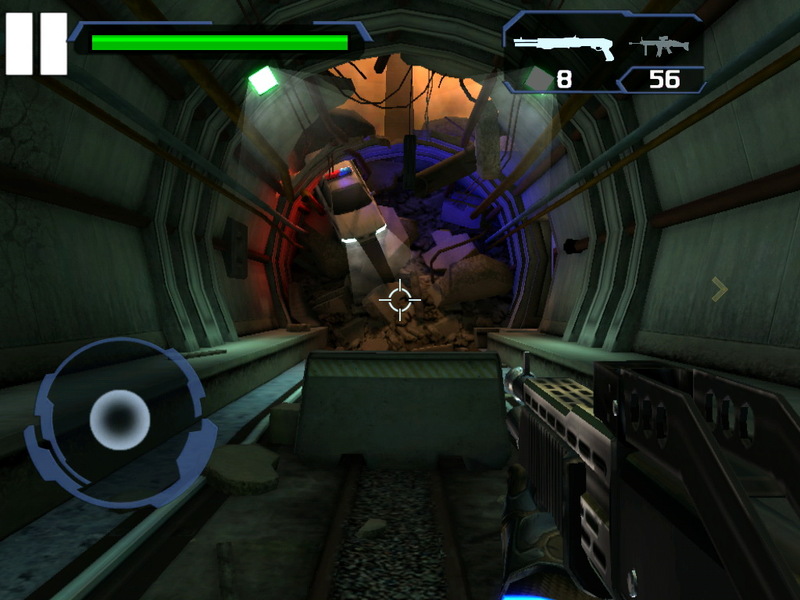 The Conduit HD is probably one of the few good games currently available on the Google Play store, and is definitely one of the best first person shooter games (due to its interesting storyline and easy gameplay) that I have played. 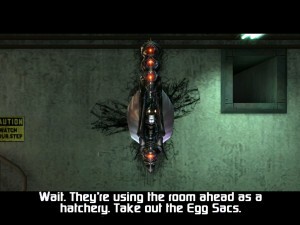 The game, however, consumes a lot of memory so you probably should try the free version before paying for the additional stages. 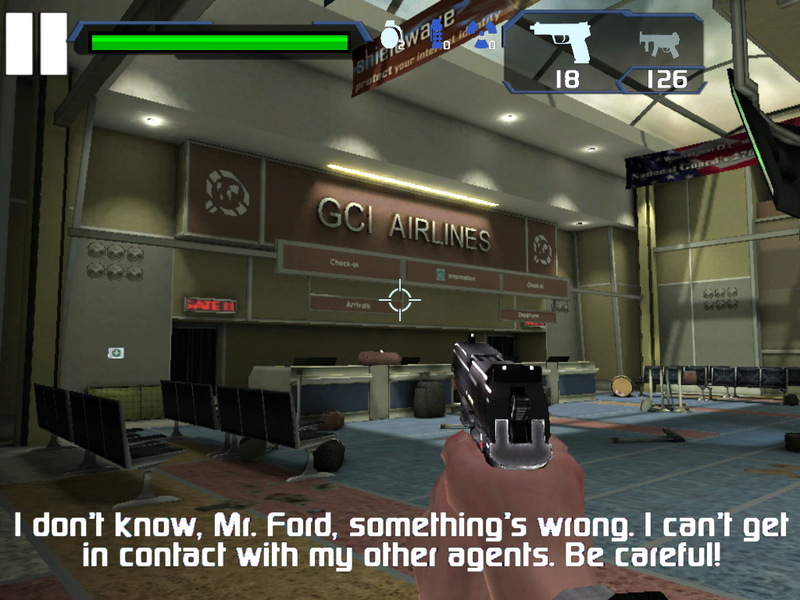 I played this game on an LG Optimus Vu, which despite having 1GB memory was barely able to run the game; I had to shut-down many unnecessary apps for smooth gameplay. 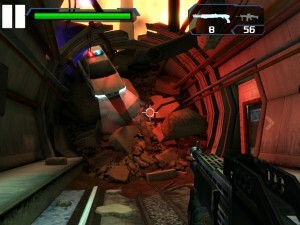 The Conduit HD does not support multiplayer, which might be a bit of a downer for some. 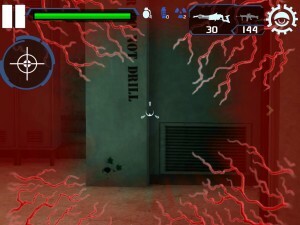 However, the full-version stages are just $4.99 which is a very small price for a game which is this entertaining, thrilling, as well as solid in terms of gameplay and graphics.